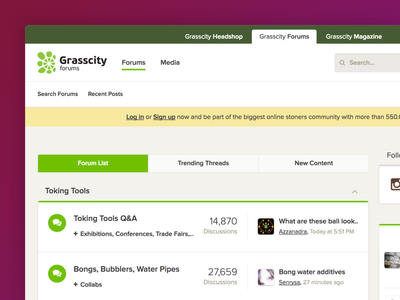 Grasscity is one of the largest online marijuana forum and shops. They're team approached us to help migrate from an older IP.Board platform to XenForo, with a fresh new design with heavily customized views. There were 300+ views coded into XenForo, including every major page, menu, modal, state of a page, and more. There were around 20m posts and 600k members that were migrated. We made sure everything from data to view was pixel perfected and added lots of new features for new advertising opportunities and member retention. 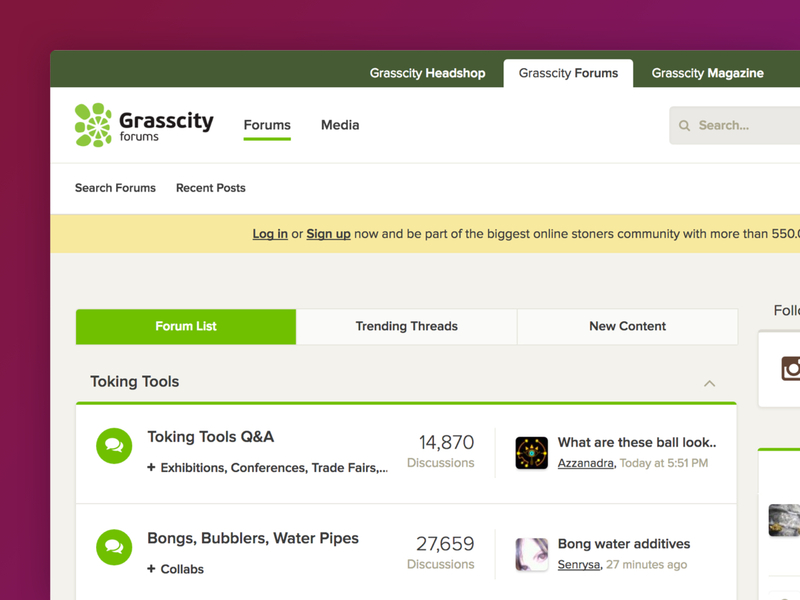 GrassCity came to our team interested in changing their forum software from vBulletin to XenForo and along with that, a complete redesign of their forum. It was important that the forum design flowed seamlessly with their main website with a consistent color palette and header.